Tangfish wrote: I’ve never noticed milky substances coming out of my weights, but please enlighten us. Do you use soft shot weights? I did many years ago and the corrosion off the lead was milky white and I assume it had a bunch of lead in it. I do know someone that went to tungsten due to personal concerns about this issue. She's left the area long ago or I'd ask. I think he was kidding about the tungsten but that certainly would’ve made for some very low profile weights given your machinist brother and handful of tungsten! You get tungsten...where? Gotta be expensive, and lead has gotten pretty steep over the years. My brother is a machinist. He got a wrongly delivered order for a large quantity of tungsten carbide cutting bits. They weren't sharp, weren't like anything he would use, and didn't know what they were for. Couldn't find who they were supposed to go to. They got passed around the family for a few years as gag Xmas presents (really heavy). By the time I figured out I could make soft weight pouches out of them they had disappeared. Damn. Re-milky exudate: See it all the time. Do a fresh water soak after a dive, drain them a bit, then set them on something like black plastic to catch and show the last of the drained water. You may be able to see the rinse water is lightly milky. It's not pronounced enough to leave a milky trail during a dive. I don't know what the actual chemical makeup is, if it's toxic, or if it's a serious contributor to lead problem, but it doesn't feel right. Last edited by fmerkel on Sat Dec 15, 2018 10:28 am, edited 1 time in total. I’ve never noticed milky substances coming out of my weights, but please enlighten us. I would switch to hard weights too if it’s continually bad, but if it happens during manufacture then I suppose the damage is already done and I won’t buy any more but would keep using the soft weights I already have. Also, I guess if it’s an issue just during manufacture then assuming the company disposes of it properly then it’s less of a concern. What do you think that milky substance coming out of the soft weights is? fmerkel wrote: How does arsenic get in lead shot? If it's just inherent in it, how is that allowed? As CaptnJack points out, that stuff was banned a long time ago. There shouldn't be any around. 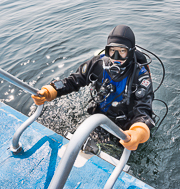 Soft weights for divers: They are ubiquitous, not just a Seasoft product. After using them awhile I noticed a milky exudate came out when rinsed. I just figured that had to not be good and I was contributing to the problem. I've gone to hard lead weights. But soft shot is still readily available and used commonly. Are divers contributing to this issue? Yes. We should all go to tungsten weights. How does arsenic get in lead shot? If it's just inherent in it, how is that allowed? As CaptnJack points out, that stuff was banned a long time ago. There shouldn't be any around. Cetacea wrote: I’m sure the government has a close eye on them and any mistakes result in a great way to generate $$$. The fines are not collected for the purpose of funding state services, they are there to make it hurt bad enough so the profitability of breaking the rules is lower than following them. If you act in good faith and make a mistake (usually paperwork) the penalty is quite modest. If you willfully break rules, profit off your lawlessness, dismiss your illegal dumping as unimportant or something you shouldn't have to comply with - they are going to throw the book at you. The facts discussed along with the language in the order, size of the penalty, combined with Bruce's comments suggests Seasoft is in the latter category. This is definitely the largest fine I have seen in awhile, especially for a small business. I’m not defending or supporting this fine because I don’t know the facts, but I can say this.... fishermen accidentally dump thousands of tons of lead into our lakes and streams when fishing. 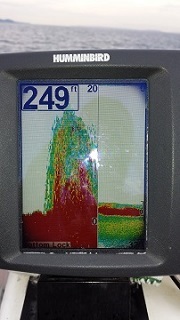 I know of one spot on the Columbia where we can bring up 100 pounds on one dive. Hunters spray lead all over the place. I can’t go camping anymore without some bubba target practicing alongside a nearby creek or lake. I’m sure he’s not collecting all his bullets or shot when done. There is a gun range in my town that shoots across a creek into a hillside that drains into the creek. How much lead do divers dump every year? I found a 40 pound uncoated belt last month.We are all being marinated in lead it seems like. I’m not supporting Seasoft because I don’t know the facts, ( I do love their ankle weights) I’m sure the government has a close eye on them and any mistakes result in a great way to generate $$$. Anyone want to bottle dive with me off the old asarco plant? The heavy metals make the bottles so pretty. Safe diving all. Tangfish wrote: Why in the world would they be just dumping this hazardous waste rather than disposing of it responsibly? Unfortunate news about a local company. Disposal is expensive and cuts into profit margins. The conditions there sounds scary and awful. I shudder to think about how much lead dust staff brought home on their clothing or they ingested from contaminated surfaces like their lunchroom. Their kids should probably all get tested for blood lead levels and treated as needed. They can appeal the citation to the pollution control hearings board within 30days. But this seems like a pretty willful violation and the "1lb" argument (which I am not sure is true) is weak sauce. Just to give you some perspective, the acute water quality criteria for lead in marine water's is 210 micrograms/L. 1 pound is enough to contaminate about 2,159,964 Liters of stormwater at acutely toxic levels. The chronic criteria is 8.1 ug/L, 1 pound dissolved in marine waters would lead to chronic toxicity to aquatic life in almost 56 million liters (about 22.4 Olympic sized swimming pools). Happy to give them the benefit of the doubt in the meantime, but just saying there’s another side to the story but you don’t have time to tell what that is, kind of leaves a vacuum for other information to fill. 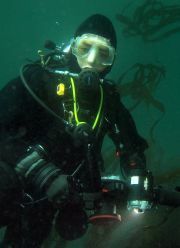 "Seasoft Scuba Hey, you can believe what you read or you can see what we have done over 35 years. We have been fined for spilling the equivalence of about 1 lb. of lead. Give us a little time to clear our name instead of rushing to judgment. If someone falsely accused you how would you feel? Well, that is how we feel, dazed, beat up, screwed etc. Wish I had time to tell you the whole story but I don't. You are free to believe what you want to. It's America. Why in the world would they be just dumping this hazardous waste rather than disposing of it responsibly? Unfortunate news about a local company.